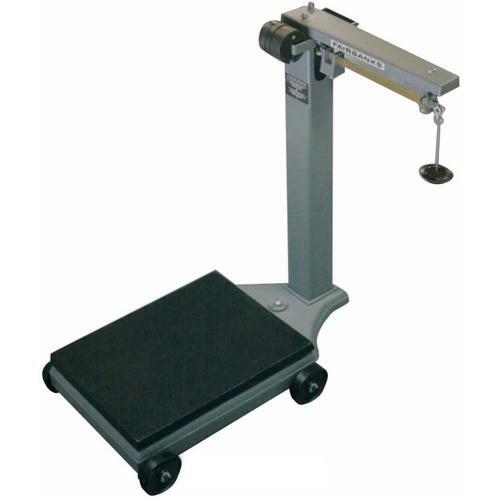 Portable Mechanical Beam Scale 1124 Series Fairbanks 1124 Series is a rugged and economical beam scale for industrial and commercial general utility weighing. Its large platform and 1,000 pound capacity make it the ideal scale for a variety of applications. The base, lever system and platform are all made of durable cast iron, providing exceptional accuracy and reliability over many years of service, with virtually no maintenance. Cost-effective solution for basic, portable mechanical utility scale applications. Mechanical design makes the 1124 Series perfect for all hazardous locations. Easy to maneuver, even in tight spaces.